Every year, Indonesia and its neighbors brace for the dry season and the resulting haze that shrouds the skies and poses potential risks to health. 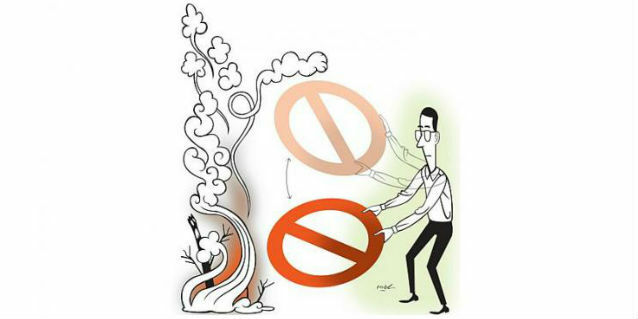 In an editorial published in The Straits Times on 7 November 2014, chairman of the Singapore Institute of International Affairs (SIIA), Professor Simon Tay, reflects on the progress that the region has made in the past 17 years to address the haze issue and recognises the difficult realities on the ground. 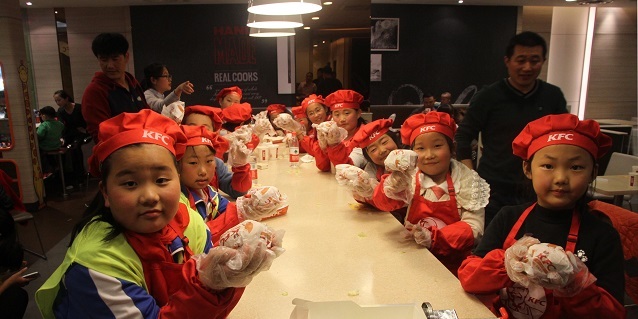 APRIL has every reason and incentive to prevent forest fires, which diminishes the very asset that contributes to its revenue in the pulp and paper business – the wood. Early this year, APRIL suspended forestry operations, transferring field staff to the fire lines to save its plantations. Through the Asian Agri partnership program with smallholders, small-scale oil palm farmers would get financial assistance to hire large backhoes to clear the land for replanting, instead of using fire. Most of these small-scale oil palm farmers who partner with Asian Agri have also obtained the Roundtable on Sustainable Palm Oil (RSPO) certificates, which recognises their commitments to sustainable practices. 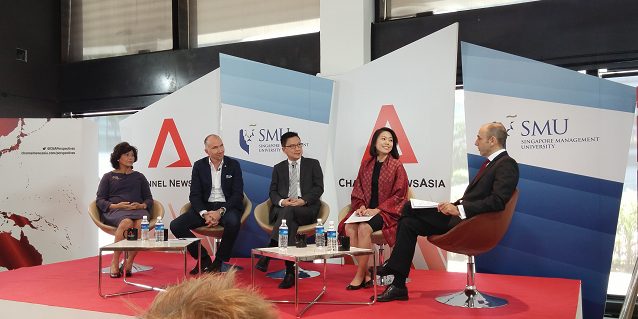 Looking at APRIL and Asian Agri’s efforts to grow the business efficiently and sustainably, Professor Tay expressed optimism that progress on the action against haze is possible, but it requires cooperation between government as well as continued action by corporations, local communities and NGOs. SIIA/NUS guests in Kerinci with Anderson Tanoto and APRIL’s fire management team. 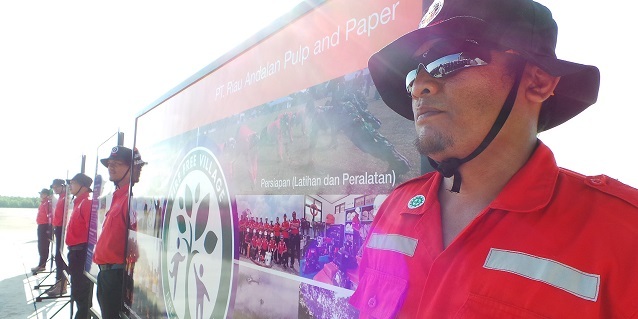 Professor Tay and his colleagues from SIIA and NUS made a trip to the Riau province, where Anderson Tanoto, the son of RGE Founder and Chairman, Sukanto Tanoto, walked them through the complex issues of land and forest fires management. While some companies manage their concessions well, other unmanaged areas are fire-prone. 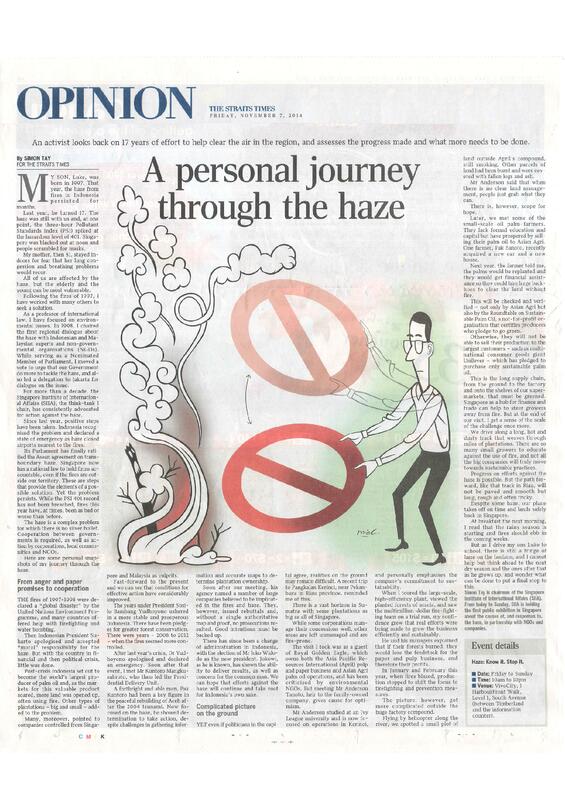 Read about SIIA Chairman’s “A personal journey through the haze” published in the Straits Times.